Funkety, funk, funk. With some hip-hop, grooves and soul on the side. That's what this energetic, eight-piece band brings. 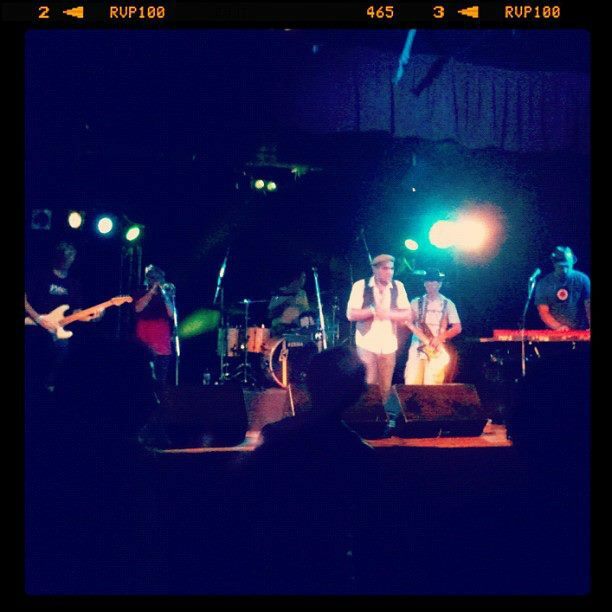 In January 2012, I came across this funk band. Supporting one of my favourite local bands, Electrik Lemonade blew me away with their old-school funk, horns section, and their amazing cover of Skunkhour's Skeleton. Since then, I've gone out of my way to get to their gigs and loved every funky note they have played. With members hailing from Gold Coast and Byron Bay, you'll see them play more at Byron than Brisbane, but catching a set of theirs is well worth the trip. They have two EP releases under their belt, and are preparing themselves for an East Coast tour early in 2013. You can like them and buy their EP 'Epoch' on Facebook here, listen to their music on Triple J Unearthed here and buy their EP 'Epoch' online here or here.